The Food Alphabet and More: foodpanda delivers great deals with the second edition of Hot ‘n Hungry! 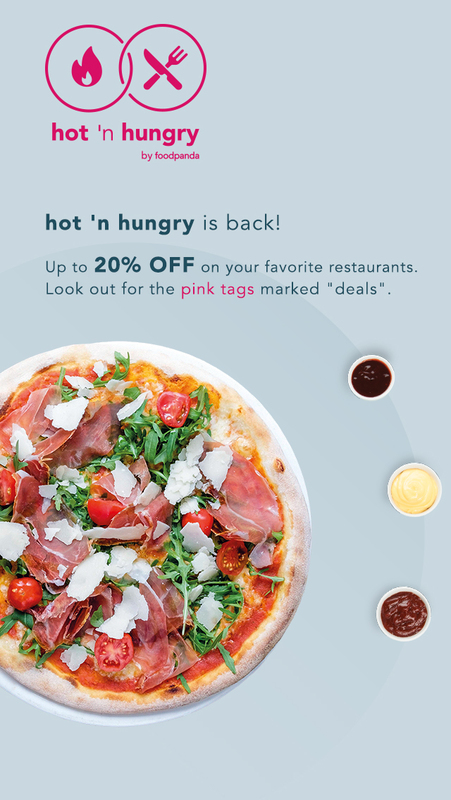 foodpanda delivers great deals with the second edition of Hot ‘n Hungry! June is the hot season of celebrations for the Philippines: Independence Day, Father’s Day, back-to-school and June-bride weddings. In celebration, foodpanda, the on-demand food delivery platform, has announced the second run of its biggest food sale event: Hot ‘n Hungry! The second edition of Hot ‘n Hungry will run for the whole month of June, from June 1 to June 30, 2018. These delicious deals are available to foodpanda customers in Metro Manila, Metro Cebu, and Metro Davao. Customers can expect the same jaw-dropping offers, huge discounts and exclusive bundles from over 50 amazing restaurants, including popular restaurants such as Greenwich, Sunnie’s Cafe, Rackshack, Tim Ho Wan. “No Pinoy holiday, small celebration and fiesta is complete without food. We at foodpanda wanted to be part of these celebrations not only by delivering food Filipinos love but also by offering great deals perfect for families and gathering through the second edition of Hot ‘n Hungry.” says Iacopo Rovere, CEO at foodpanda Philippines. For more information and updates about the second edition of the Hot ‘n Hungry food sale, visit foodpanda’s Facebook, Twitter, and Instagram (@foodpanda_ph) account or look out for the pink tags on the foodpanda website: www.foodpanda.ph.